Join us on Saturday, February 21, 2015 for the World Vision Clean Water Celebration! Have you celebrated the fact that you are drinking clean water today? On February 21, 2015 from 11-2 PM, Family Christian Stores near you will be hosting the World Vision Clean Water Celebration. On this day, customers are encouraged to bring their families into the Family Christian Stores to enjoy a slice of cake in honor of the 16,300 wells and water points created and rehabilitated in countries that are supported through World Vision sponsorships. These wells and water points provide clean water to children and their communities on a daily basis, and that’s worth celebrating—join us! 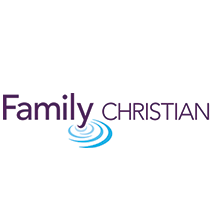 Find a Family Christian Store near you!